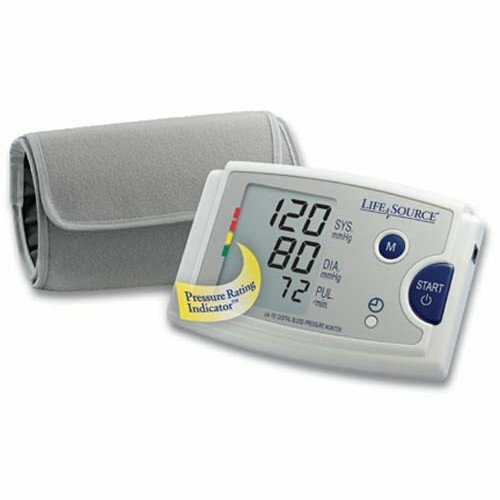 The Quick Response Monitor from LifeSource is the perfect combination between ease of use and advanced digital blood pressure technology. 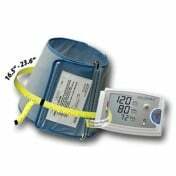 Features like a 60 Reading Memory, a Time & Date feature, and a Pressure Rating Indicator are all available with just a simple touch of a button. The 60 Reading Memory is great not only because it allows you to view your past readings individually, but because it also will display your average reading over time. 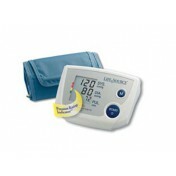 This saves you time in calculations and will let you know instantly what your average blood pressure has been over the past 60 readings. The Time & Date feature is also helpful as it displays when your measurement was taken, and with three progammable alarms you can remind yourself or another when it's time to take a reading. Another of the Quick Response's great features is the Easy-Fit Cuff, a patented cuff that has been designed to fit most arms 9"-17" (23-43cm) and will instantly size to fit your arm. This unique design provides the highest level of comfort and accuracy in your readings. 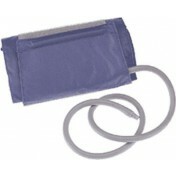 Reading accuracy is also promoted by the Quick Response's Pressure Rating Indicator and its Irregular Heartbeat system. 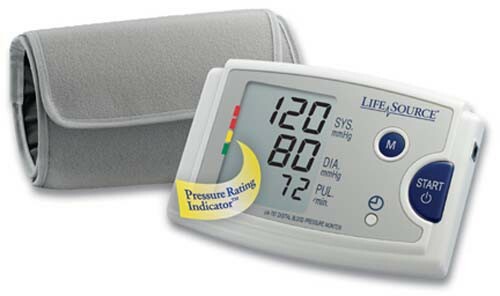 The Pressure Rating Indicator provides a snapshot of your blood pressure classification based on your measurements. 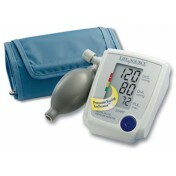 This helps you understand what exactly your blood pressure measurements mean. The Irregular Heartbeat system detects the presence of an irregular heartrate, alerts the tester, and compensates for it; providing accurate blood pressure and pulse rate measurements.